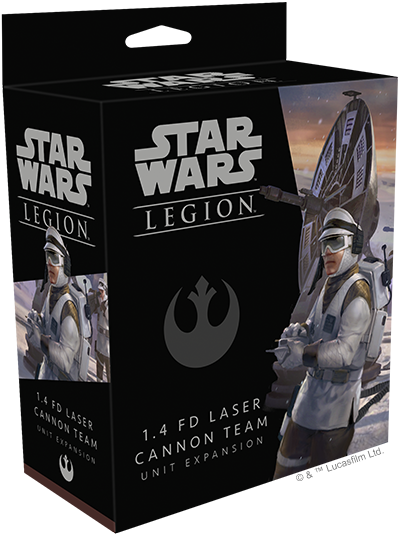 Fantasy Flight Games is proud to announce the 1.4 FD Laser Cannon Team Unit Expansion for Star Wars™: Legion! Order your own copy of the 1.4 FD Laser Cannon Unit Expansion at your local retailer or online through our website today! No matter where the Rebel Alliance establishes one of its bases, it must always be prepared for an Imperial attack. Rebel ground troops are always willing to put themselves in harm’s way, but troopers are not enough to stem the tide of the Imperial legions and their heavy walkers. 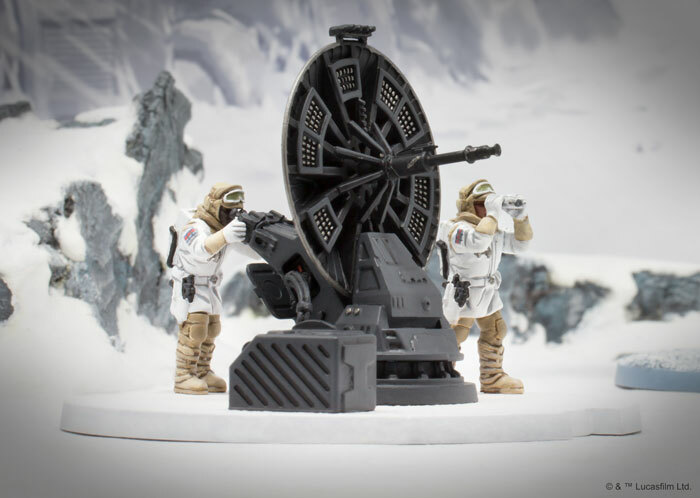 Laser cannon emplacements can provide these troops with the fire support they need to fend off any assault they might face during your games of Star Wars: Legion. 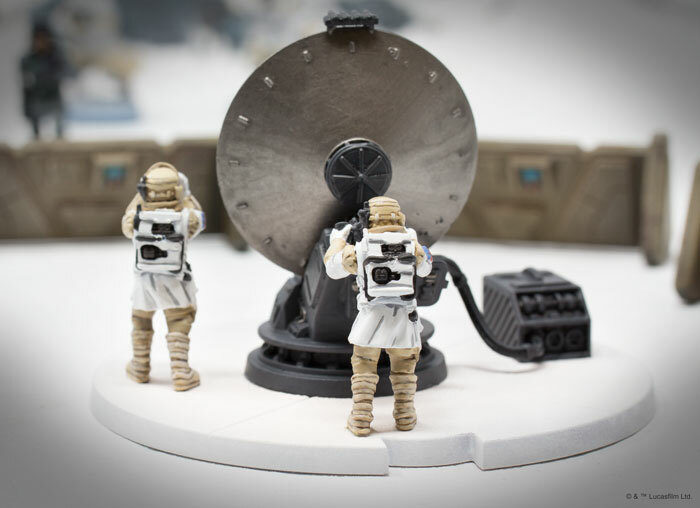 Within the 1.4 FD Laser Cannon Team Unit Expansion, you’ll find an unpainted, easily assembled 1.4 FD Laser Cannon Team miniature that can be fielded as a support unit for your Rebel army. 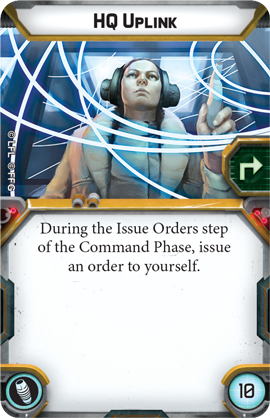 Alongside this team, you’ll find three upgrade cards that invite you to further modify your cannon to make it an even more stalwart line of defense against the forces of the Empire. Look for the 1.4 FD Laser Cannon Team Unit Expansion along with the E-Web Heavy Blaster Team Unit Expansion at your local retailer in the third quarter of 2018. 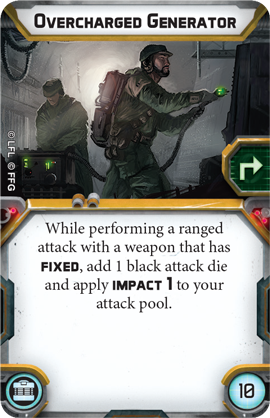 For a closer look at that expansion, click here, or read on for more info on the 1.4 FD Laser Cannon Team! As the second support unit for the Rebel Alliance, the 1.4 FD Laser Cannon Team joins the AT-RT in providing much needed backup to your Rebel troops. Every Star Wars: Legion army can have up to three support units, and now you can mix the mobile versatility of the AT-RT with the strength of the 1.4 FD Laser Cannon Team in whatever combination you choose. Rebel ground forces are constantly faced with the challenge of breaking through the heavy armor worn by most Imperial troopers, while avoiding the intense fire these units can send back at them. To compensate, units like the Rebel Troopers must rely on their elusiveness to dodge enemy attacks and stay in the fight long enough to secure their objectives. At 70 points, a 1.4 FD Laser Cannon Team perfectly complements these troops by providing the cover fire they need to continue their operations, even while under heavy fire. The 1.4 FD laser cannon has a longer range than a standard unit of Rebel Troopers and, with a pool of five black attack dice, it packs quite a punch, making it more than capable of keeping enemy units at bay while your troopers are on the move. All this firepower does have its drawbacks, however. A 1.4 FD Laser Cannon Team is a stationary unit that cannot perform moves except for pivots, so this turret must be deployed to key points on the battlefield in order to be effective. What’s more, the laser cannon can only target units in its front arc. This means that the trooper team manning it must rely on their much less powerful DH-17 blaster pistols if anything manages to slip past them. Still, even a single 1.4 FD Laser Cannon Team can be the cornerstone of a solid defensive perimeter, even when enemy units are out of range. The cannon team always keeps a watchful eye on the horizon and its Sentinel keyword extends its standby range to three, making it even more difficult for enemy units to move within range without a quick response. 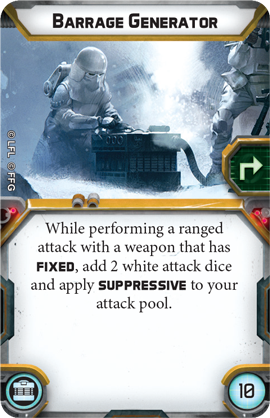 The 1.4 FD Laser Cannon Team uses its Sentinel keyword to spend a standby token and attack the Snowtroopers when they move into Range 3! There's also plenty of ways for you to upgrade your 1.4 FD Laser Cannon Team and specialize your unit's attacks. Adding a Barrage Generator can help increase its rate of fire, for example, pinning down any troopers that might be advancing on your position. If an AT-ST is stomping toward you, however, having an Overcharged Generator can give your 1.4 FD laser cannon the power to punch through the walker’s armor. Finally, an HQ Uplink is always useful to keep your team in contact with the rest of your army, especially when your commander is far afield. No matter what the Empire throws your way, 1.4 FD Laser Cannon Teams are ready to protect the Rebellion and its troops. Build your defenses and prepare for Imperial attack! Pre-order the 1.4 FD Laser Cannon Unit Expansion (SWL14) at your local retailer or online through our webstore today, and look for it—along with the E-Web Heavy Blaster Team Unit Expansion (SWL15) to release in the third quarter of 2018! 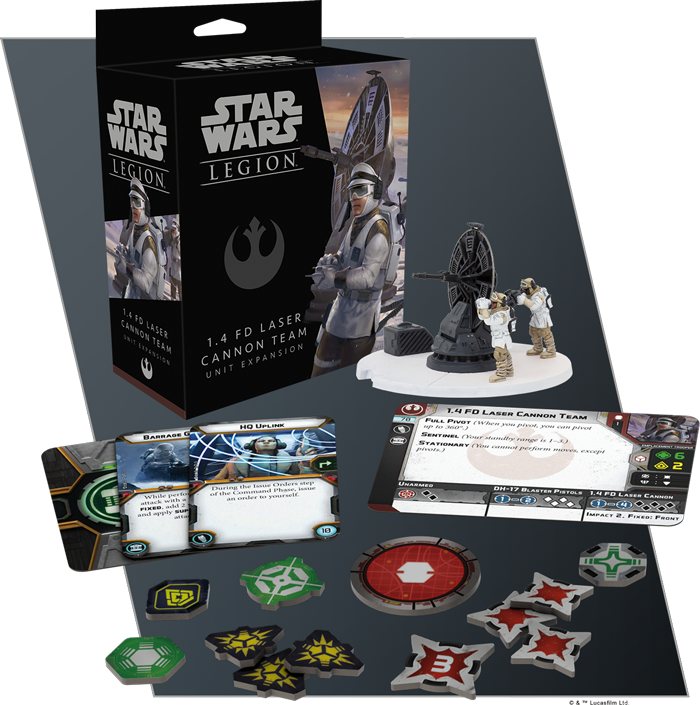 Star Wars™: Legion is a miniatures game that invites you to become the commander of an infantry army in the Star Wars galaxy. Every round, you'll select orders for your units, harnessing your commander's charisma to cut through the fog of war and impose your will on the battlefield. Tactical planning and careful positioning is essential if you're going to lead your troopers to victory! Celebrate Star Wars with Us! © 2019 Fantasy Flight Publishing, Inc. Fantasy Flight Games and the FFG logo are ® of Fantasy Flight Publishing, Inc. All rights reserved.